I am finally blogging about this! It is a few weeks later than I had originally planned but I am excited to finally have it organized. Last year I did a community give back and loved it so much! I want it to be an annual thing. Maybe eventually I will get big enough we can do it semi-annually. Last year I collected donations for the Washington County Children's Justice Center. 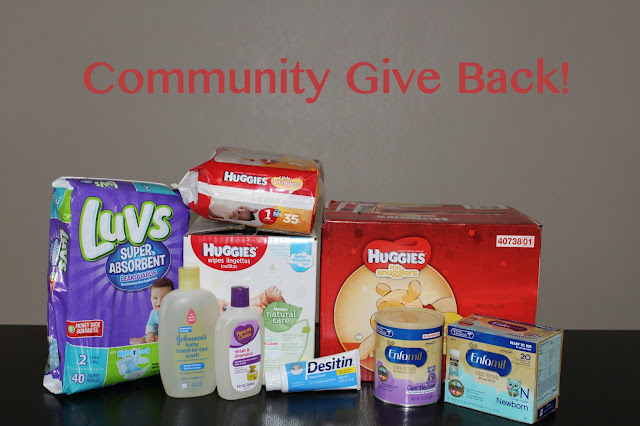 You can read all about how that give back turned out here and watch the video here. It turned out pretty well for my first year. This year I have decided to collect baby items for Switchpoint. Switchpoint is our local homeless shelter. They believe in giving a "hand up" not a "hand out". Everyone who stays there is assigned a caseworker and the caseworker helps get the people back on track. Their motto is "It Takes All of Us". That includes us! So let's help them out by donating some needed baby items. I will post a video on YouTube at the end of the donation drive so that you can all see the generosity of our community. Below is a list of baby items that Switchpoint needs. Donations of any of these items would be greatly appreciated! Where do you deliver your donations? Markel Realty Group has volunteered to be a drop off/mailing location. You can mail your donations to the address below or if you prefer to save money on postage and want to drop them off you are welcome to do so Monday- Thursday from 9:00 am - 5:00 pm. Will I pick up your donations from you? YES! I would be more than happy to pick up your items from you! Just e-mail me at southernutahattractions@gmail.com and we can arrange it. When is the deadline for donations? I need all donations by Wednesday, December 28th so that I can deliver the items by the end of the year. THANK YOU! THANK YOU! THANK YOU! This Community Give Back is not possible without you and I know you will all help make it a success.